You are currently browsing the tag archive for the ‘Lembah Pantai MP Nurul Izzah Anwar’ tag. Nurul Izzah (center) and Hannah (2nd.from right) showing the extend of the damage caused to Bukit Gasing. KUALA LUMPUR (Jan 29): Property developer Gasing Meridian has shot down news reports that have linked its development work to recent landslides in Bukit Gasing. Its managing director, Kenneth Tan, voiced his concern during a press conference today over the media’s apparent confusion as to the location of the landslides. Gasing Meridian is the developer of the Sanctuary Ridge Kuala Lumpur project that will see 70 luxury bungalows being built in Bukit Gasing. The developer recently won a five-year legal battle against Bukit Gasing residents who wanted the project stopped for fear of landslides and environmental damage. Four landslides took place in Bukit Gasing over the past week. One occurred close to Maxwell Towers and news reports have linked it to Gasing Meridian’s development work. Bukit Gasing Joint Action Committee member Gary Yeoh today showed the media what he said were photographs of the landslides including the one near Maxwell Towers. After looking at the photos, however, Tan said that the area in question was not on Gasing Meridian’s site. “We’ve also set up adequate buffer zones between our development site and residential areas including Gasing Indah and the Syabas pipeline and reservoir,” he added. Tan said the Sanctuary Ridge project had undergone thorough investigations that spanned four years and subjected it to the scrutiny of 13 agencies, including the Department of Environment and the Department of Minerals and Geoscience. A Maxwell Tower resident later took fz.com to his apartment on the 23rd floor, where we had a direct view of the alleged landslide area. The patch of exposed land was behind a green fence which Victor Oorjitham said was on Gasing Meridian’s development site. Victor, 82, pointed out that the distance of the buffer zone between the green fence and Maxwell Tower’s wire fence was very narrow and that any further landslides would affect the apartment residents. 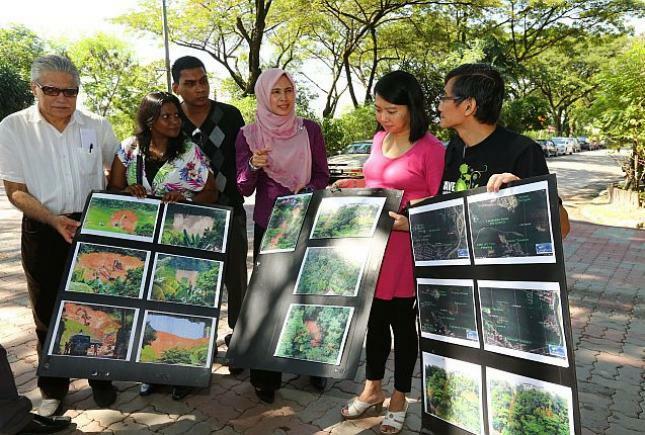 Yeoh meanwhile appealed to Kuala Lumpur City Hall (DBKL) to relook at all hill slope developments and keep the Bukit Gasing residents informed on monitoring procedures and reports. The Sanctuary Ridge project area on top of Bukit Gasing, comes under the jurisdiction of DBKL. KUALA LUMPUR: The Joint Action Committee (JAC) for Bukit Gasing wants Kuala Lumpur City Hall (DBKL) to release the environmental impact assessment (EIA) report on the proposed development on the hill. Yesterday, about 100 residents affected by the proposed development in Gasing Indah (on the Kuala Lumpur side) gathered to press their case, ahead of a Court of Appeal decision tomorrow. The residents applied for a judicial review in the High Court in 2008 challenging City Hall’s approval of the development. However, they were denied the right to be heard and appealed against the decision in the Court of Appeal. Spokesman for the joint committee Gary Yeoh, 57, said: “I am questioning why was there no public hearing by City Hall before approval. “In November 2007, during a meeting with City Hall, they told us the land had been subdivided but no development will be granted to the developer. He said so far more than 108 petitions from residents from the surrounding communities were sent to the developer and City Hall since 2007. “We are not against development but we want City Hall to provide us with the EIA report for safety and security reasons. “If they continue with the project, it will adversely affect the ecology and environment of Bukit Gasing and our safety,” he said. Also present were Lembah Pantai MP Nurul Izzah Anwar and PJ South MP Hee Loy Sian. JAC and other representatives of residents’ associations have opposed Meridian Sdn Bhd’s (GMSB) proposed development since early 2006, for fear of landslides and safety issues. It is said that since 1993, there have been 14 major landslides, with press reports that indicated at least 68 fatalities apart from the millions of ringgit in loses. JAC’s is helping to pay for legal costs by pooling resources from residents and through charity drives. Tomorrow, the Court of Appeal gives its verdict on the appeal against the 15.52 ha hillside development project at the KL side. Meanwhile, Nurul Izzah said she sent a letter to KL mayor (Tan Sri Ahmad Fuad Ismail) recently requesting the release of the EIA report. “At least, with the EIA report, we were able to know the present condition of the area that is to developed — the residents want reassurance the surrounding areas are safe from danger,” she said. She said she does not want a repeat of the hillside tragedy of Bukit Antarabangsa and Medan Damansara. As for Hee, he said the matter was brought to the attention of Parliament and the Federal Territories and Urban Well-being Ministry. 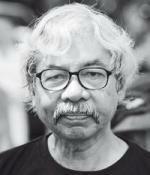 “However Datuk Raja Nong Chik Zainal Abidin has yet to give his answer on the approval of this project. R. MAGESWARA, 34, said the beauty of this forest was about to be stripped if development continued. “Everyday I sit at my balcony watching workers level the hill slope. Another resident Mohamed Kamar Mohamed (pic), 68 said he is not against development but residents have a right to express their opinion through public hearing. Mohamed who has been living at Fraser tower since the last eight years said a lot of changes (development) took place on Bukit Gasing. Resident Dr A. Mallika, 58 and her daughter A. Gayathri, 27 said the development would also destroy wildlife in Bukit Gasing forest. Gayathri said four years ago the scenery from her house balcony was beautiful. 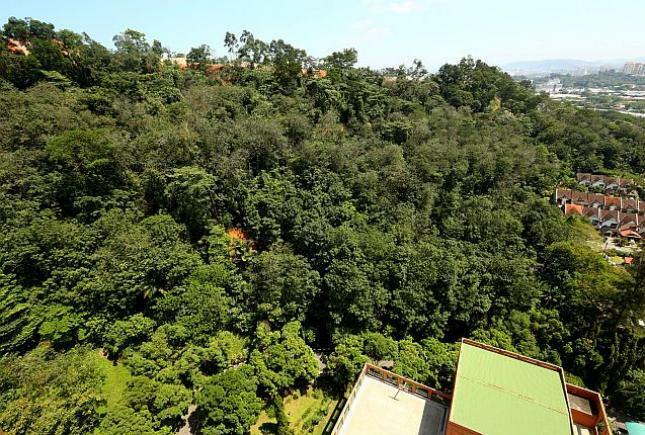 “I used to see monkeys swinging from tree to tree,” she said, urging the project be scrapped.